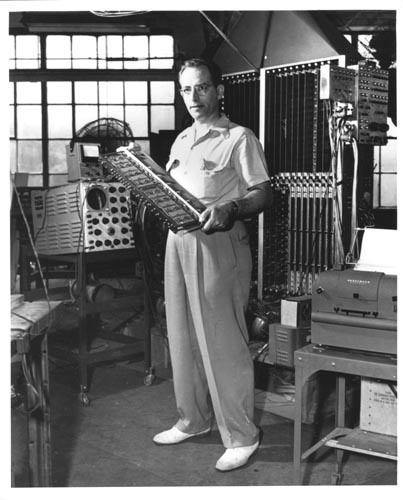 John Mauchly holding a vacuum tube pluggable unit standing in front of a computer cabinet. To the right is a teletypewriter and to the left is an oscilloscope. Verso in pencil " Eckert-Mauchly Computer Co. c. 1949"
P.O. Box 3630 Wilmington, Delaware 19807"